Insider information on any airport. Zip through as if everyone else is standing still. Would be nice if it could pull in Foursqaure venue reviews for better information on restaurants and shops. 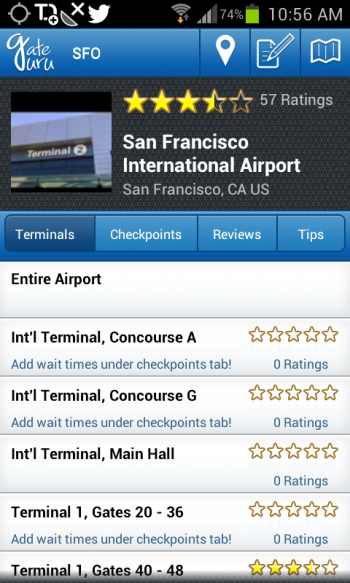 GateGuru is an appropriate name for this app; it really is the guru of travel apps when it comes to airports on travel day. It’s like having a hardened business traveler at your side, guiding you through the airport with their shortcuts and insider tips. Bad weather, traffic, crowded airports, long security lines can cause anxiety making you dread travel day. GateGuru can’t remove those annoyances (wouldn’t that be nice? 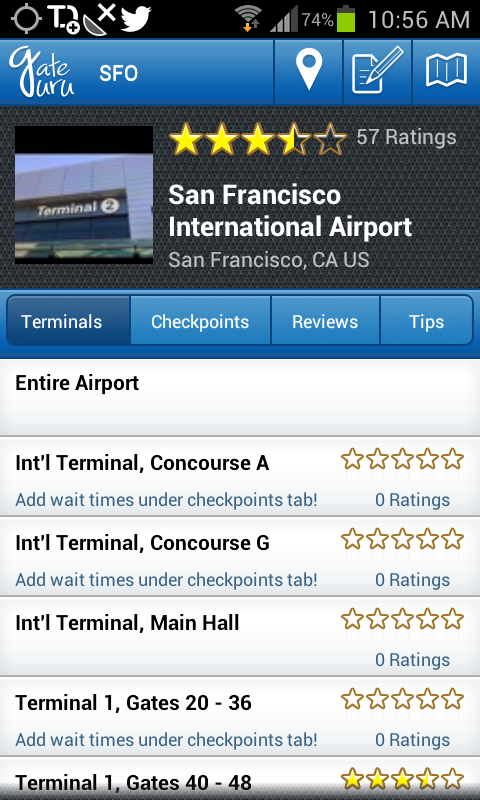 ), but the app can prepare you for the worst and get you through the airport easier and with less frustration. Connect GateGuru to Kayak or TripIt to add your flight details to the app; it will pull all relevant airport information for the day of your trip. Weather conditions, flight status, delays if any, even security wait time estimates. You can also receive notifications for gate changes, delays and other updates. The app has a database of airport amenities with reviews, searchable by type: food, shops and services. 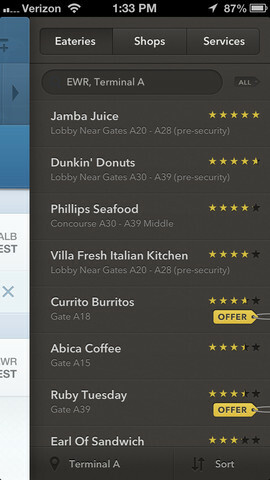 Use the app to “bookmark” restaurants and gift shops you like so you can remember them on your next trip. 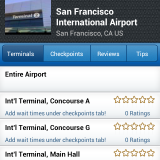 Take notes on the best airport amenities and the app becomes even more useful on your next visit. GateGuru is free for Android devices.